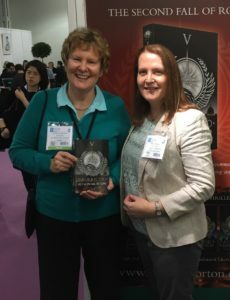 INSURRECTIO, the fifth Roma Nova thriller, was due to be launched on the Tuesday, so clad in my 1980s green ‘networking jacket’ – the book is set in the 1980s – I headed to the SilverWood Books stand. As I approached it, my name and INSURRECTIO in large Roman letters blasted out at me. What a great panel SilverWood Books had done for me! 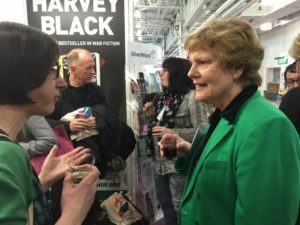 Then chatting and mingling with SilverWood’s Helen Hart and team, with potential and current authors. 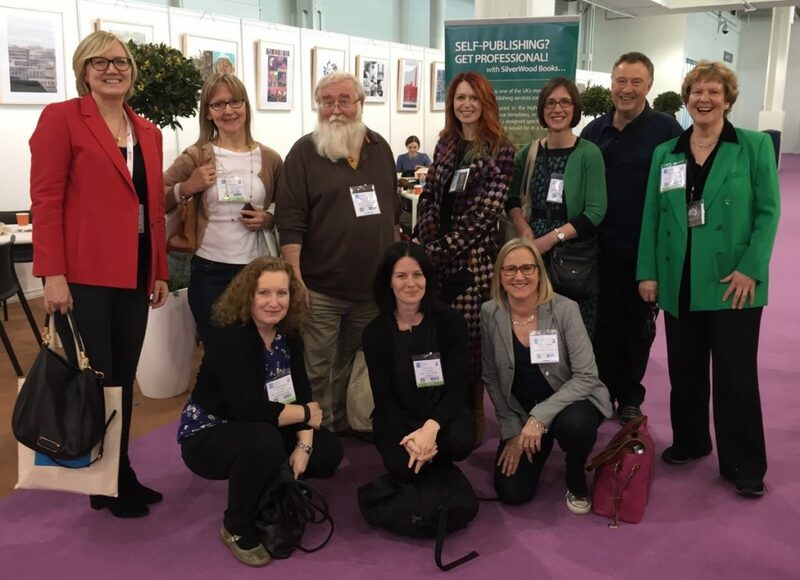 After an entertaining talk by bestselling author Peter James and catching up with friends from the Alliance of Independent Authors (ALLI), and lunch with a fellow Romantic Novelists’Association (RNA) author, it was back to the stand for launch preparation. The wine arrived, so I knew we were ready! When I staggered back to the hotel that evening (from tiredness! ), I was overwhelmed by the volume of photos posted during the launch and the congratulations flooding Twitter and Facebook. I spent four hours trying to reply to all of them. 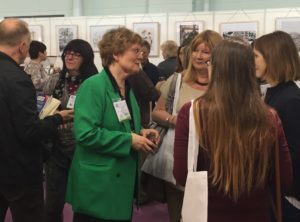 This continued through Wednesday, online and with visitors to the SilverWood stand during the day and at the ‘Meet the Authors’ drinks that evening. 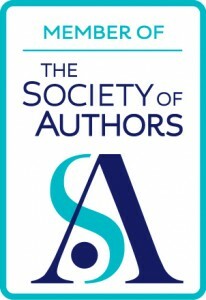 I managed to squeeze in a few talks and seminars; ALLi talking about how to sell more books and Tracy Chevalier on her new Shakespeare project. 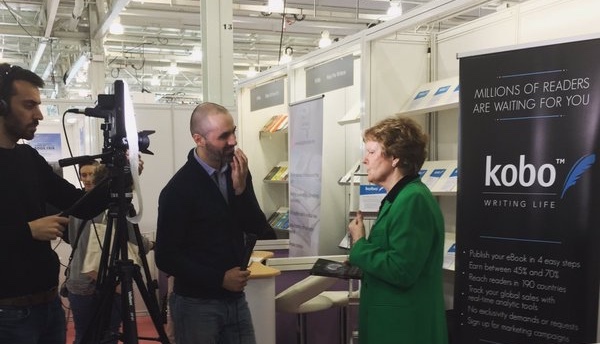 E M Powell, one of INSURRECTIO’s endorsers! 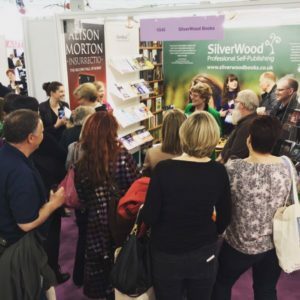 And people continued to visit the SilverWood stand to say hello on Thursday. 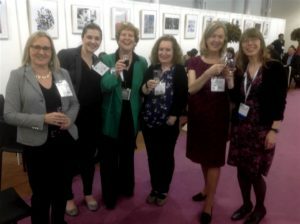 At the ALLi drinks party that evening (sponsored by Amazon – thank you!) people were still talking about it all. I sold all ten books I brought with me which was not only satisfying, but made my suitcase a lot lighter for the journey home. People were/are so generous in supporting me, not least SilverWood Books who pulled out the stops for the launch. 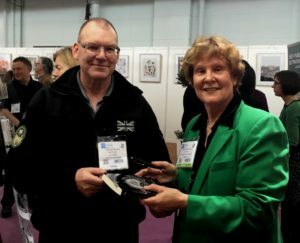 Hi Alison, thank you so much for posting all this information and photos so that we your readers could enjoy the day with you. How proud we are too. 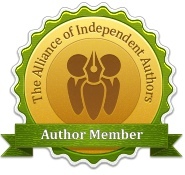 I really do appreciate how committed you are as a writer to draw your readers into your life as both an author and person. I always look forward to your posts. What a great day you had and so richly deserved. PS Love that eighties green coat too. 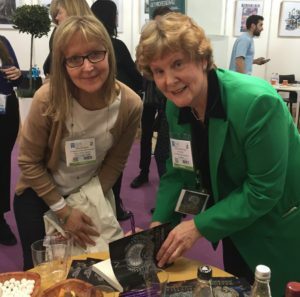 It was a fab day, Leila, and I’m delighted to share it with readers. 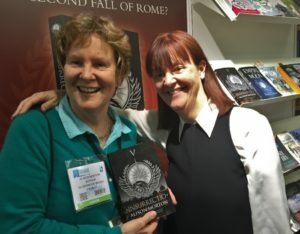 Without them, the Roma Nova books wouldn’t be a success. I raise a toast you and them! Santé! 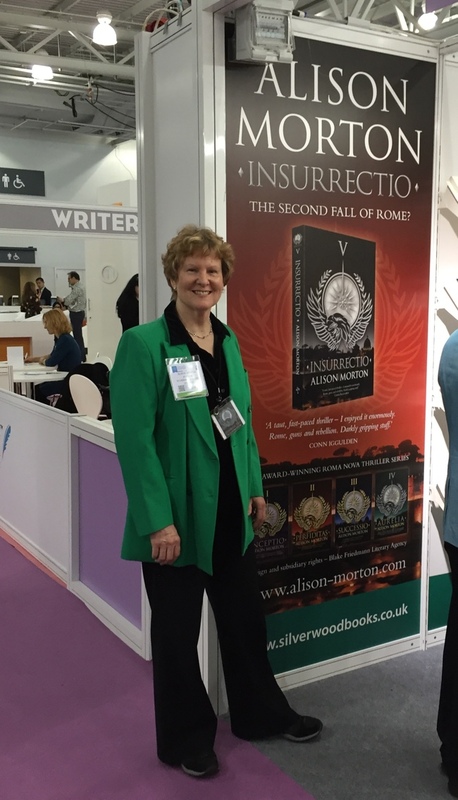 Really enjoyed the day at the LBF, and of course you were the highlight, Alison, with your launch of INSURRECTIO. Great end to the day! 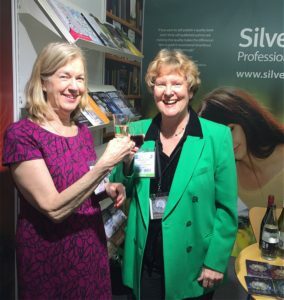 Was great to see you at the London Book Fair, Alison and thank you for inviting me to your fabulous launch! 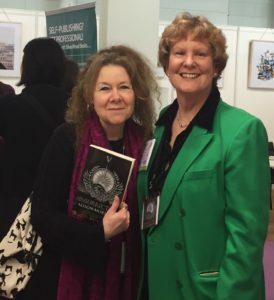 Delighted to see you, Anita, and thank you for taking photos!